This photo could have been taken in October. (Check out the Cooper’s hawk perched in the middle of our stone wall.) 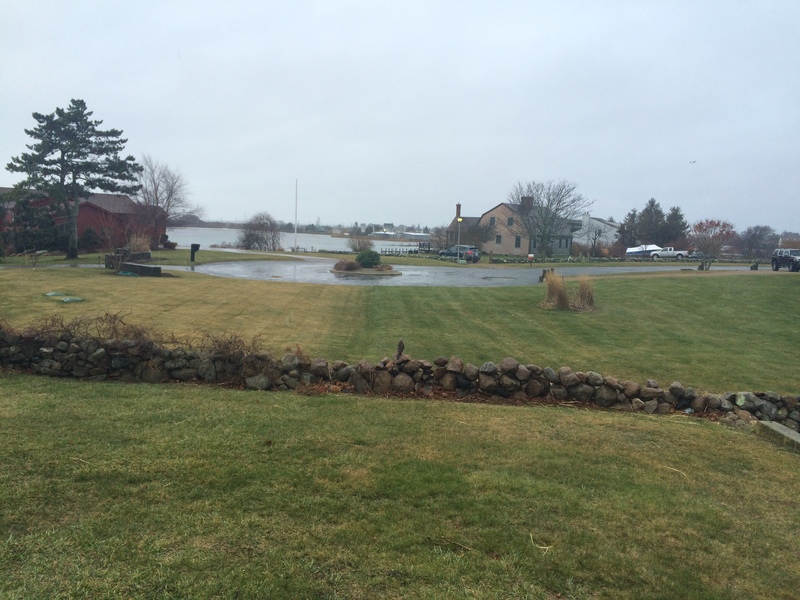 Also notice the neighbor’s lawn on the left, which his idiot landscapers fertilized and treated last week AFTER cutting it – in mid-December! The result is burned turf, and because grass can’t absorb anything now because it’s dormant, most of the nutrients and poisons ran right off into the salt pond during the heavy rain we had the next day. Thanks a lot, Dude. 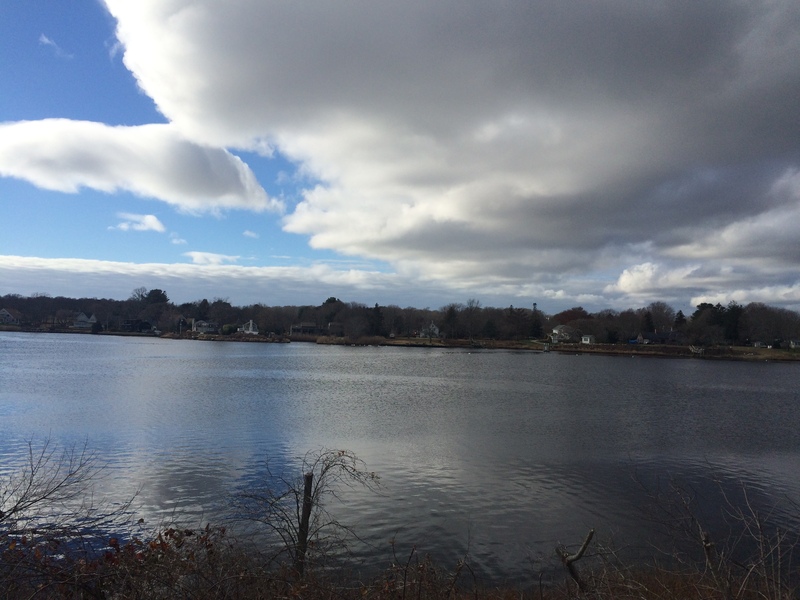 I took this photo of the Pawcatuck River while walking with a colleague during our lunch break. The river separates Rhode Island and Connecticut. I was standing in the River Bend cemetery, a lovely and restful place. The other bank of the river is the CT side. Not very Christmasy this year, but peaceful and beautiful nonetheless. Hiking in the woods on the day after Christmas, it was weird seeing everything all brown. 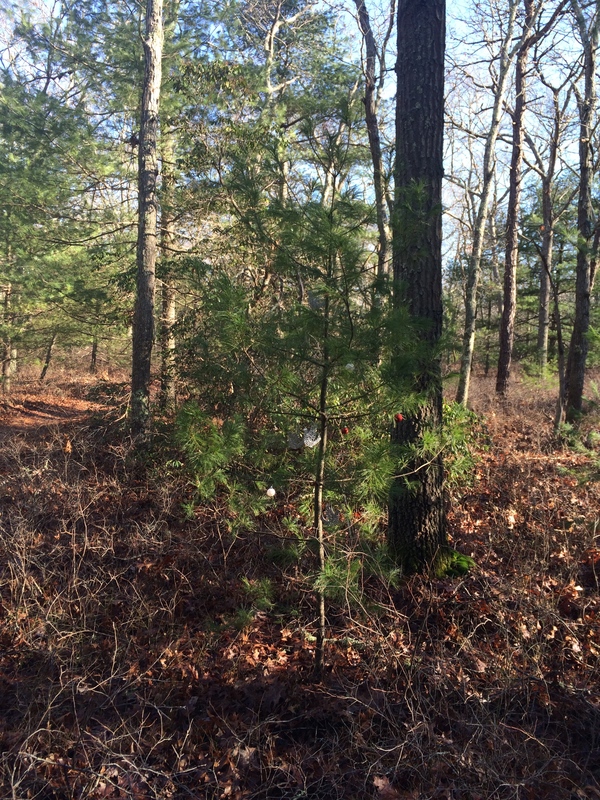 Then we noticed a small pine, decorated with a few ornaments. On the way back, we saw another decorated pine. The ornaments were twinkling in the sunlight. 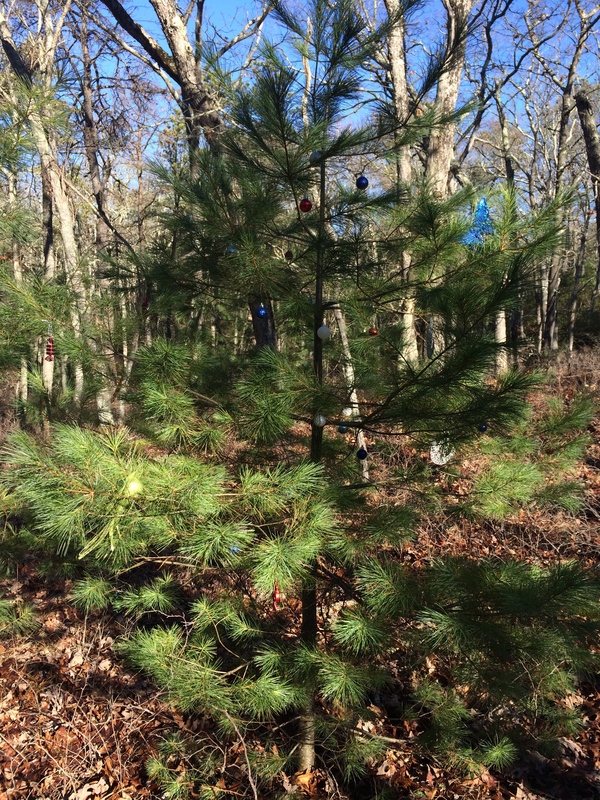 Little touches of Christmas in the woods. I found them sweet and sort of reassuring. It is very green here, as well. If you didn’t know what month it was, you certainly wouldn’t guess December. And the end of it, too. I really like that touch of Christmas in the woods! When you have a green Christmas in Canada, you know something’s wrong! Those decorated trees were charming. Looks like you’re having a Southern Christmas. All winters are like that here in Georgia. 😦 I sure miss the snow sometimes and the cold. It makes for a pretty Spring. Those decorated trees in the woods must have been a wonderful surprise. 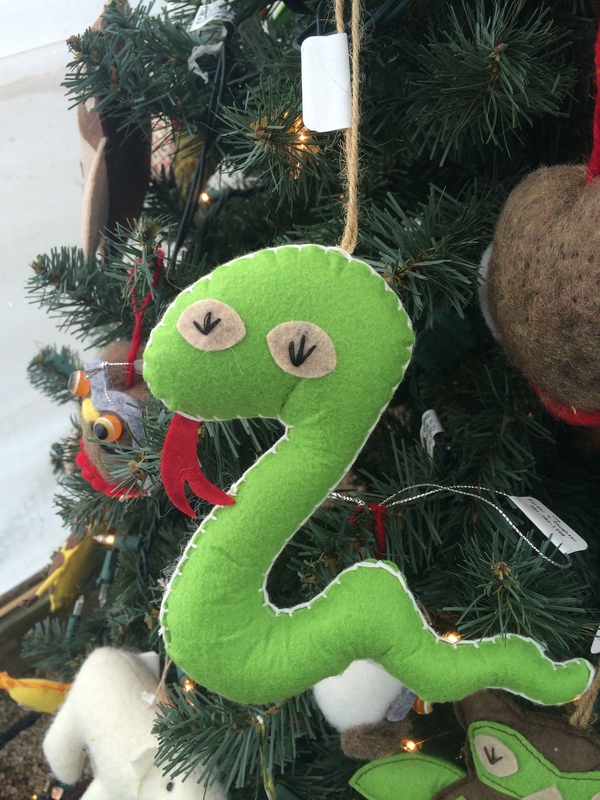 I’m inspired to hang a few ornaments on some country trees. Happy New Year, dn! Happy New Year to you, CJ. We have spent a Christmas or two in the south and they were like the one we’re experiencing now – only with better food! So funny. I’m longing for all the good Northern fare. Try finding a decent bagel in Hooterville. 🙂 Seems like it should be so easy to have the best of all worlds. My holy grail when I moved to RI was coffee. I even imported it for the first 6 months until I finally found a decent roaster here.